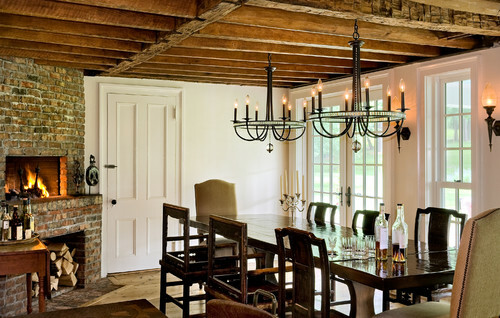 It’s nothing new, but totally hot in home design at the moment: dual dining room chandeliers! If you can’t find THE ONE you want, why not hang two? Found a chandelier that is just too good to pass up the thought of having two in the same room? Two is always better than one, right? Well… maybe if it fits the decor and style of your room. 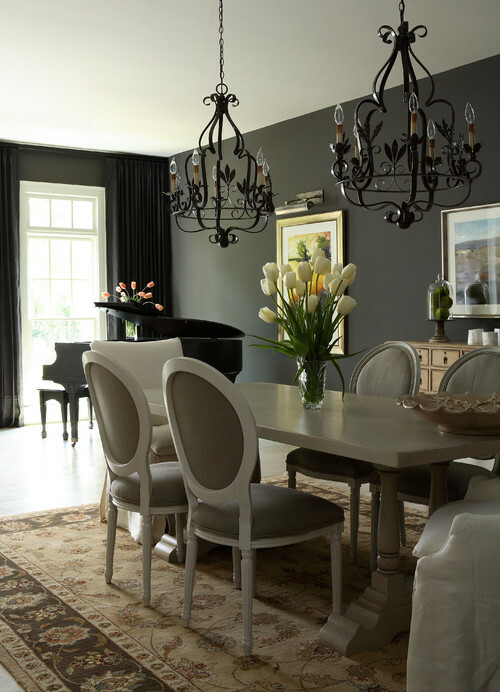 It’s up to you how you split the two chandeliers over your table; however, you want to ensure that you have centered the chandeliers and that they are not extending past your dining room table on either side. For 8 feet ceilings and below, light fixtures should be placed 30-34 inches above your dining room table. For ceilings larger than 8 feet, light fixtures should be placed 3 additional inches (in addition to the 30-34 inches for an 8 feet ceiling) for every additional 12 inches of ceiling space.